Create an elegant, barrier-free solution for your bathroom with the Brenham shroud. Designed to fit Brenham wall-mount sinks, this shroud offers the function and durability required for a commercial bathroom. Combines with K-1997 Brenham wall-mount sinks to create the K-1999 Brenham wall-mount sink with shroud. Replacement Tank Lever for American Standard Cadet Toilets, 30 Degree Bend, 6 inches long, White . JAG Plumbing Products strives to bring customers the best products in Canada and make them available on the best online shopping platform: Homedepot.ca - Owned and Operated in Ajax, Ontario, Canada, JAG PLUMBING prides itself on offering Home Depot Customers durable, high quality, non OEM replacement plumbing parts. Pinoir lavatories provide integrated styling with box-band lines and simple, double-ridge edge detailing. The space-saving design and transitional lines work in almost any bath or powder room. Vitreous china construction provides lasting beauty and durability. This Pinoir shroud complements Pinoir wall-mount lavatories to hide pipes and enhance the design. 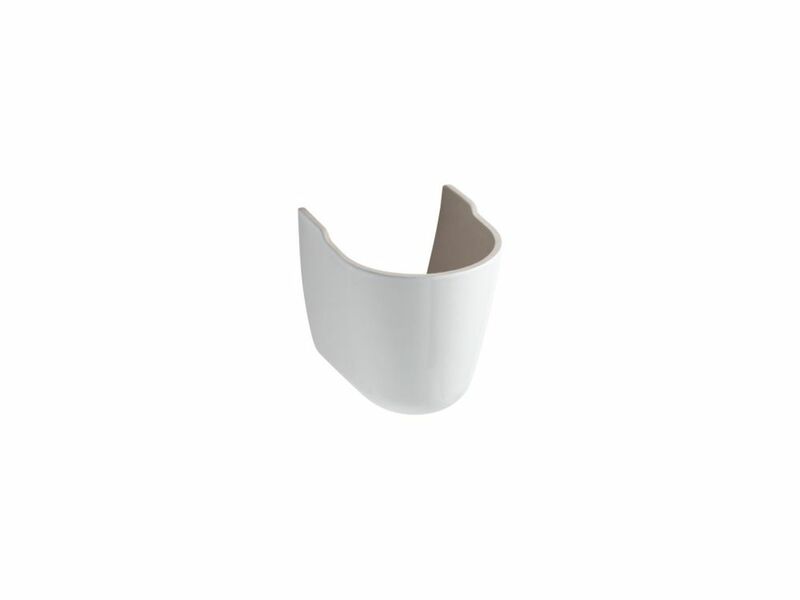 Brenham Shroud In White Create an elegant, barrier-free solution for your bathroom with the Brenham shroud. Designed to fit Brenham wall-mount sinks, this shroud offers the function and durability required for a commercial bathroom.